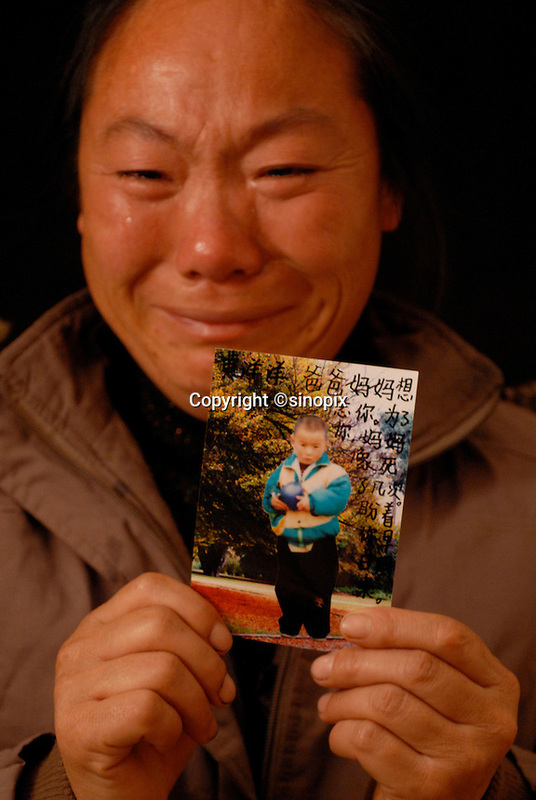 Mrs Hu holds a picture of her son Yang Yang, who was stolen from under her nose, April 9th 2003. Mrs Hu is one of thousands of migrant mothers whose children have been stolen and sold to rich families desperate for a boy. Families are limited to a single child under the China's ruthless One Child Policy.